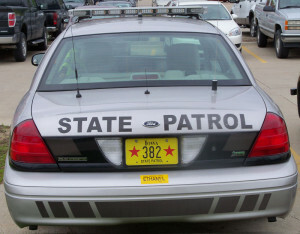 Two people were killed, one hurt, in a one-car accident Sunday night near Fort Dodge. The Iowa State Patrol reported a southbound 2002 Ford Mustang driven by 38-year-old Chad Grell of Fort Dodge was on Webster County Road P-59 when he was accelerating excessively to pass vehicles and lost control of the car. The Grell auto entered the east ditch striking a utility pole and rolled over. Grell and one of his passengers 34-year-old April Montgomery of Otho were killed in the accident. Another passenger, 25-year-old Amanda Imhoff of Fort Dodge was first taken to a Fort Dodge hospital and then air lifted to a Des Moines hospital for further treatment. The accident remains under investigation.